According to reports in Turkey, Newcastle are one of a number of clubs interested in Besiktas midfielder Tolgay Arslan. 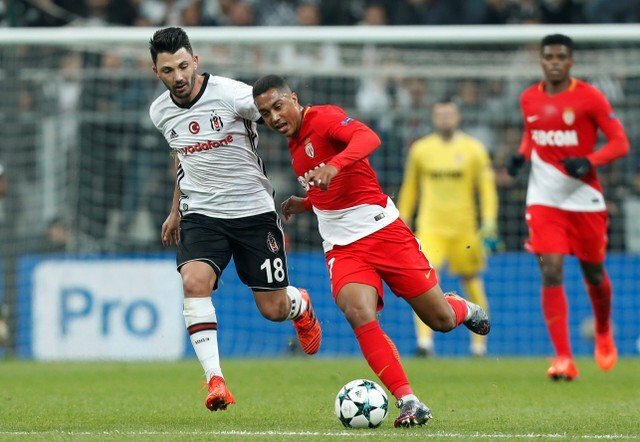 Arslan has impressed in Turkey since his 2015 move from Hamburg, even forcing the highly rated Oğuzhan Özyakup out of the Besiktas lineup at times this season. The report claims Newcastle have joined Borussia Dortmund and Bayer Leverkusen in the race for Arslan, hoping that Premier League football and the promise of regular minutes under Rafa Benitez can convince the 27-year-old to come to Tyneside. Newcastle have several central midfielders, but it seems Rafa Benitez is on the hunt for a permanent partner for Jonjo Shelvey, as the likes of Mo Diame and Mikel Merino have struggled for consistency. Would he fit on Tyneside? Arslan is certainly capable on a technical level. He progressed through the youth ranks at Dortmund before moving to Hamburg where he made 92 appearances. He has progressed even further at Besiktas, registering two goals and 11 assists in 107 games from his deep lying midfield position. The 27-year-old, valued at £6.3million on Transfermarkt, is known for dictating the pace of the game from deep and helping his team control the game, something that would allow Jonjo Shelvey to take responsibility for the more adventurous passes. He could be what so many hoped Mikel Merino would become. He boasts an 89% pass success rate in the league for Besiktas this season, and could potentially be Shelvey’s long-term partner in Benitez’s 4-2-3-1 formation. While Mo Diame has re-found form recently, it would be foolish of Newcastle to overlook a bargain deal for such a gifted player due to the form of 30 year-old Diame. Newcastle fans, would you back a £7million move for the midfielder? Let us know your thoughts in the comments below.